Divine Love is so much more than human love... and it feels amazing! You need not wait for another to live In Love! You can live in Love right here, right now. When you witness and take delight in the goodness of another person, in nature, in your coffee or your chocolate, you are in Love! When you look with compassion and witness the light in another who is struggling, you are in Love. When you strive to see the light trying to surface, even in the darkest of souls, you are in Love! Human love is a beautiful, warm, fuzzy feeling. Human love occurs when another person meets your needs, makes you feel good, ignites your passion, or affirms your light, worth, and beauty. Human love is a step on the path to Divine love – an entry way into a deeper relationship – first and foremost, with yourself, and from there, with the other. Human love feels good as long as the other meets your needs or makes you feel good, then it turns to agony when not returned. Divine Love is a reward unto itself, a bliss beyond compare whether it is returned by another or not. To be loved is a beautiful thing. To truly Love is a blessing unto yourself. Divine Love is an acknowledgment of the Divine Spark within another soul... or within any aspect of creation. Divine Love sees the purity, the innocence, and the light within. Divine Love looks for evidence of Itself in the other! Divine Love never seeks to control, manipulate, or bully another. Divine Love seeks only to allow, support, and fan the flames of the spark within another. Divine Love allows you to turn away from the darkness, set a healthy boundary, walk away, or even set another free to follow their own path if they desire it. Divine Love never has a need to judge, compare, or make wrong. Divine Love celebrates the never-ending growth of all souls. Divine Love, dear ones, is what you are all made of. Acknowledging this truth, for yourself and others, is what gives you a loving experience of life. I opened the door, fearing the worst. I've had hawks eat birds right in front of my eyes. Happily that was not the case this time. A lone fledgling pigeon huddled by my front door, hiding under a cactus. Apparently she'd taken her first (ungraceful) flight from the nest and was unable to fly back up. "Oh honey!" I started to talk to her. We looked into each other's eyes and she backed up in fear, doing her best to squish her tiny body into the wall. There really was nowhere to hide. "Its OK, I won't hurt you!" She calmed down. I went into the house, researched acceptable grains, and left her a little offering of food and water. Then I started to pray! "OK, God! I want her to live! What do I do?" I couldn't reach her nest to put her back. I knew if I took her inside her parents couldn't reach her. I didn't know what to do. "Give her food, water, and leave her alone," the angels told me. Oh, agony! Every instinct in me wanted to mother the poor little creature. Instead I listened to my guidance. For the next two days she huddled under the cactus. I put out seed, and happily her parents came, ate the seed, and fed her. On Day 3 I started to get concerned. There were guys coming to work in my yard and I knew she'd be scared. So I ran off to the store, bought a large container, cut two doors in it to allow for cross-ventilation, taped around the edges so they wouldn't scratch her, and set it on a tile, because pigeons are rock doves, and like to roost on hard surfaces. I wasn't sure if she'd like it. "That's for you sweetie," I told her. You can hide there till you're big enough to fly. I looked in her eyes and pictured her feeling safe in the little house. She looked in my eyes and immediately moved into her new condo! Days turned into a week. She started to eat on her own. I started to talk to her every day. "Hi Precious! I love you and know you're very comfortable, but you're going to have to learn to fly one of these days. You need to be with your family. Precious huddled in her hut, coming out only to eat and drink. I knew I had to release my need to control the process and so I watched, waited, and fed her. Honestly it took every ounce of will power not to take her in! The angels told me this was a huge lesson for me, that she didn't want to be taken in, and even if I had good intentions it would not be loving to do so. "Let go. Trust!" the angels told me. I loved her enough to want her to be free, so I listened. But I DID start picturing her happily flying away. Within days other birds started to visit and eat with her. She watched as they flew away. I continued to chat with her. "Precious, it's been two weeks. You're wings are full grown. You're well fed and strong. Its time to fly! You can do it! I believe in you! You need a flock." I looked into her eyes as she huddled in her hut and pictured her soaring. The next morning she was gone. Concerned I looked all over, but there was not a trace. We have cats, owls, hawks and all sorts of other animals so I didn't know what had happened. A few minutes later, something turned my attention to the rooftop. There, on the pinnacle, with her feet on the edge, she stood perched. Like a kid who wanted to jump off a diving board she looked down, looked up, backed up, and then walked to the edge again. She had apparently flown up to a shorter section of roof and then hopped to the top. I looked at her. "You can do it," I telepathed. We gazed. I felt a flood of gratitude from her spirit as she looked in my eyes, and then she turned, dove off the roof, dipped, and took flight! My heart soared too. This was a lesson for me and I bless the little bird who taught it. I so desperately want to keep everyone safe and comfortable, free from painful lessons and on a path of joy. Yet there are times I must let go, and let those I care about choose their own journey and their own curriculum here upon the earth. It is not my place to control another even if I'd do so with an intent to help. That isn't always easy! So when you catch yourself agonizing over how to help someone, don't insist it be your way. Instead, pray, picture them happy and healthy, and then wait for them to request help or the angels to guide you. It is far more loving than trying to impose our will on another... even with good intent. 1. Trust the Journey & Picture them well! Trust that, no matter what the superficial human reasons are, everyone is making choices to facilitate their soul's growth. I've seen this time and again. Years ago when I was married, my husband was sick. I had just learned Reiki and was urgently insisting he let me treat him so I could help. Weary from my demands, he simply said, "I think I got sick so I could rest." Lesson learned. I stopped nagging, and brought him soup, pillows and Kleenex! That felt like love to us both! You may not be able to heal, save, or fix someone at the human level. They may not want your advice or help. However, you can picture them happy, healthy, whole, well rested, abundant, and joyful. This creates a template for them to step into – an energetic blueprint for their well being. If they have even the slightest desire to be better, it will greatly assist. 2. Offer to Help. Don't push. I have family whom I love and adore. I am a walking encyclopedia of natural and energetic remedies. When they have health challenges I've learned to simply offer advice once, then let go. Of course I want them to heal, and I could often help if they'd allow, but the angels made it clear that any urgency to fix another is based in my fear, not in true love and allowance. Offering ideas feels like love. Insisting I know what they need, or being pushy is not. I've been on the other side of the coin, sick, or with a broken foot, and had people unlovingly insist that I must do what they wanted me to do in order to heal. They were well-intentioned, but their insistence was not honoring of my choices. I wanted to learn my lessons and heal from the inside out. I didn't want superficial cures. It is hard to feel OK loving your life when others you love are going through tough times and tough lessons, yet love is waiting for all who are willing. Choose to live and love your life no matter what others choose. I would be useless to the world if I got sucked into its pain. The more I live In Love with life, the more I have to offer. You may just inspire the people around you to want that for themselves. When we give up our ego's need to have others behave, even heal or improve their lives as we wish, it allows us all to grow according to our soul's designs... and that feels Divine! “To clear emotions and feelings that no longer served you for your highest good, it was necessary to recognize, what emotions and feelings you were ready to clear and release from your body and your vibrations. In order to do this, you had to connect with Creator. You do this by using the Invocation to Clear and Release Emotions below and the following visualization. “I now release it by my own free will, for it no longer serves me for my highest good and I send it to the Light of Creator, to be changed back to the Light. “Now you would do the visualization. You may feel it as energy or heat traveling upward, through your body. You would visualize the clearing as energy, or moving light, coming up from the bottom of your feet, going up through your entire body and exiting out through your crown chakra and going up to the Light of Creator. Creator will do the clearing and releasing out of your body cells and your entire vibrational field, clearing it from your vibration. 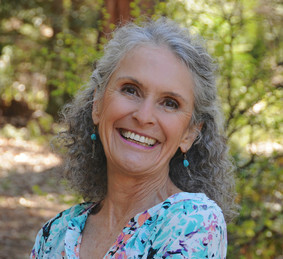 Video: "Create Your Love Body & Experience The Wholeness Of The Creator In You !" Let go of the warring Lay Down your sword.You've had enough I know you're weary The battle has taken it's toll. Illusion is shattering The veil. You're Whole. Come to the Fire. Lay down the shame of the past. The blaze in the purifying Fire Reveals your gold at last. You hold the keys now Unlocking your shackles and chains. No longer a prisoner. You are now free and reclaimed. You're reclaimed! Surrender to my Love. Trust that you're enough. Remember, remember, remember Remember, remember remember WHO you are! Come to the mystery. Give up the stories you've known. The path now collapsing Leads us all back to One. No longer divided. The fractals united are in peace. It's time to play now Like children of Love's Destiny. You are the Light of the world. You are the joy of of the earth. You are the Love of your life. So remember Remember Remember WHO you are. For this week, the message from Archangel Gabriel is reminding us that we have a direct connection within our hearts to all the information we require to thrive. Be Aware that the Answers to All You are Seeking are Within You. There are times when I receive this message, and I feel frustrated with it. I use the Gabriel Message Cards to help me receive the answers I am seeking. I think I want more information than to merely look within. There even may be a part of my mind that wants the decisions to be made very clearly for me. I know this card is telling me to settle down, breathe more slowly, take some time to be still, and THEN I will have the answer. Sometimes my rebellious nature shows up, making me feel impatient. That is when I really need to go for a walk, do some yoga, dance to loud music, or something else of a physical nature. Those are the times when my mind has gone on mental overload and there is no way I will be able to find my answers intellectually. Why does it seem so hard to step away from the computer, when it is so obvious I need to do something more resourceful or loving for myself? I find it really helpful to stop and say a prayer. I am letting the Divine Mind know that there are answers I am seeking and would appreciate the flow of clarity and wisdom that will help me to receive. And I might make sure that I also ask to be a better receiver, what they speak of in Buddhism as beginner's mind. When my mind — or my heart — is not open to receive, there will not be any clarity for me in that moment. After a prayer, gifts come to me that look very different than the answers I had imagined. If I am not able to receive my answer clearly from within my heart, in perfect synchronicity a book might fall off the shelf in front of me. I may be in a store and overhear a conversation, or a friend will mention a class she took and will give me insight to the answers I am seeking. The Universe is conspiring to support us in every way. Our willingness to have an open mind and heart offers us the ways to receive all that we need in every area of life. I offer to you this decision I need to make. I offer to you the questions in my life that require clarity. I offer to you my work, my relationships and my Well-being. Thank you for bringing me the support, the clarity and the answers that I require to thrive in the physical world. As I begin to trust myself more and more, allow me to begin to be a willing participant in the transformation of my life. Help me to open my receptive channels so I can be inspired deep within, with true knowing from my soul's highest wisdom. I ask to integrate this wisdom within my being to assist me in living a more fulfilling life in the world. For these and all my blessings, I am filled with Gratitude and Love. And so it is. When you are in harmony with your heart's intelligence, seeking answers to your life's questions outside yourself will seldom be necessary. This seems impossible to you and yet this is a time when people no longer need an intermediary to be in tune with God, the Source of all Life. There has been a quickening in the vibrational frequencies on and around planet Earth. Because you are an electrical being, you are very much affected by this increased Light. A higher level of energy enables you to attune yourself to a finer vibration, which allows you to consciously receive the resonance of wisdom and love from the Divine Mind. Wisdom and love come through your energy field as light energy, which carries with it information allowing you to live more in harmony with the needs of your soul. This means that as you pray and meditate, you raise your vibration and draw to yourself, like a magnet, a high frequency of light and love-filled energy. As this energy permeates your being, it opens your mind to receive answers to any question you put forth. You have the capacity to be a conduit for information, as well as for the ecstasy of God's love. It may not seem possible to receive answers to complicated questions. Yet this is true only when fear and doubt cloud your perception. Pray to receive clearly, and pray to know the truth that is in your highest good. You can ask to know beyond a shadow of a doubt. Then you can follow the "Diamond Covenant of Moses." This declares that you are willing to do whatever is revealed to you, when you know beyond a shadow of a doubt that which is in your highest good. This willingness to follow your inner guidance sets up a flow of energy through you, which allows your Higher Self to be attuned to your conscious mind. When you are in a relaxed and expanded state of being, you have access to all the wisdom of the universe. The Angels are available to flood your mind with love and light if you ask. When your being is filled with love and light, you understand consciously what steps to take in any situation. This inner knowing may not be immediately apparent to your conscious mind. However, as you go about your day, you will begin to respond to all situations with greater calm and certainty. When you look back, you will see how you just "knew" what to do. Try writing your question on a piece of paper. Have it with a pen close to you as you meditate, and pray to know the truth beyond a shadow of a doubt. Call on your personal Angelic teacher. Ask that your Higher Self be in tune with Divine Mind. Now sit, breathe in a rhythmic way, and allow your mind and body to relax. Visualize yourself sitting in a pillar of golden light connecting Heaven and Earth. After sufficient uninterrupted time, you may feel the impulse to write. While you pray and meditate, you are in an expanded consciousness. From this place all answers are obvious, yet the critical nature of the mind loves to make judgments. Do not read your answer right away. This will defuse your inner critic. After an hour or so, go back and read what you have written. Most likely you will surprise yourself with the simple, practical solutions to your questions. With practice this process becomes easier, as you set up a direct conduit to your higher self, that part of you in touch with the angelic dimensions and divine guidance. This is the dawning age of direct guidance and wisdom. You no longer need priests, gurus or those outside yourself to show you what is in your highest good. This does not mean that teachers and role models are not important. It does mean that you do not have to seek outside yourself to find the answers to your most important questions. No one else knows more than you what is right for your life. When you are aligned with God and spend quiet time in prayer and meditation, all that you want to know will be there for you.